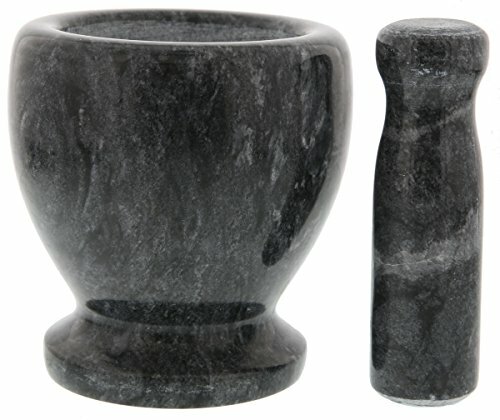 The Juvale marble mortar and pestle are a great addition to any kitchen or restaurant. Ideal for Spices, Herbs, Tough Foods, Grains, Teas, Garlics,and Gingers. The grinder is not constrained to just food it is also usable for dietary supplements and drugs. The Marble framework and style is great for adding a touch of class to any kitchen. Hand washing advised. 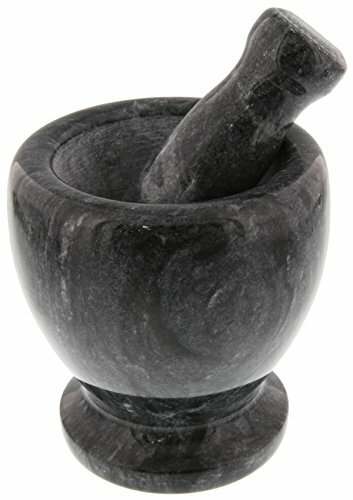 Perfect for Spices, Herbs, Tough Foods, Grains, Teas, Garlics,and Gingers. The grinder is not limited to just food it is also usable for supplements and pills. All pieces constructed of beautiful black marble with grey accents. Great gift for Christmas, a birthday, holiday gift, or a simple just because gift. Mortar measures 5 inches high and 4.5 inches in diameter. 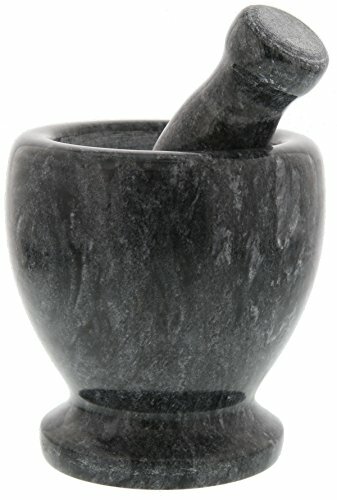 Pestle is 5.25 inches in length and 1.5 inch in diameter. A combined weight of 5.12 lb.